Steve comes to Coldwell Banker Grass Roots Realty (CBGRR) with years of personal real estate experience in both residential and commercial properties. Because of the numerous transactions he’s been involved in, Steve feels very comfortable with the real estate experience and has a strong understanding of the process. Steve says, “I’ve found my most redeeming professional qualification is to simply have a human approach.” He loves the prospect of helping people achieve their goals, especially first-time home buyers. Coming from the bay area, Steve was awarded 2017 Rookie of the Year Award at Coldwell Banker San Francisco. Steve has a positive outlook on life and can relate to one of his favorite quotes, “There are only two things in life: good times and good stories.” Chris Hopkins. 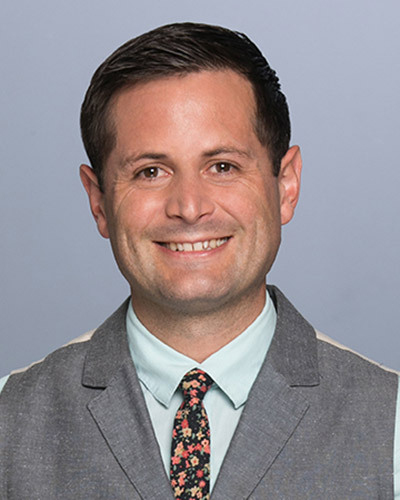 Born in San Jose, Steve holds a Bachelor of Arts in Industrial/Organizational Psychology from San Diego State University and holds several tech-focused sales certifications. He is pleased to say he is a gadget-geek and loves to tinker with computers and cars. In his younger days, he was in a singing, dancing 5-member professional boy-band called Kyniption out of San Diego. But nowadays, Steve is content raising two daughters with his lovely wife in beautiful Nevada County. In addition, Steve has managed his own cannabis-related business before choosing real estate as his career of choice. “Steve has superb ‘people skills’ that allow him to easily discuss the business aspects of real estate sales with buyers from all walks of life. I know he will have a terrific career here at CBGRR and I look forward to many years of success with him,” says Diann Patton, Broker/Co-owner. For a real estate buying or selling experience, give Steve a call today at his direct line: 530-205-4534 or cell 415-484-6650, or email steve@stevemedinarealestate.com or even stop by his office at 855 Sutton Way, Grass Valley (corner of Brunswick and Sutton).